Eating black raspberries is the easy part. Growing black raspberries plant is more challenging. The goal is to keep alive a raspberries cane for 16 months during its growing season- 1st year- as primocane and through its bearing season -2nd year- as floricane. Fungus and bugs will give your share of problems. Naturally, a good cultural practice is primordial to minimize a lot of diseases. Promotes air circulation and sunlight exposure for faster drying of canes, foliage and fruits. Avoid excessive fertilization. 1″ or 2″ of compost will do the job. Old cane must be removed before the growth of new canes. Inspect frequently and remove disease canes or plants. Avoid cutting canes when the plants are wet or rain is forecast. Never plant black raspberries less than 200 feet from a red variety. Never plant raspberries where potatoes, eggplants, tomatoes and peppers plants where planted during the last 3 years. Plant away from wild brambles, roses and perennial weeds around. Use good IPM and fungus control method. Dispose/destroy all canes you cut. One characteristic of a black raspberries plant is the number of cut you need to do for good harvest, keep control over the plants the diseases at bay . Summer Heading (Tipping). Spring summer until August. Pinch off (head) The tips of new canes when the canes reached a certain height; about 28 to 34 inches. This induces growth of side branches and a bigger harvest. Tipping is done by removing the top 2 to 3 inches of a new shoots. Removal of canes after fruiting. Summer. Removing old canes by cutting close to the ground will diminish disease problems. Early spring cleanup. Late winter/early spring. Remove primocanes small than a pencil by cutting close to the ground. Keep 4 to 6 strong canes per hill is recommended. Head back laterals by keeping 8 to 10 buds by branches. If not done during last summer head back the canes to the floricanes height. All this cut will gave you a strong harvest with big size fruits. 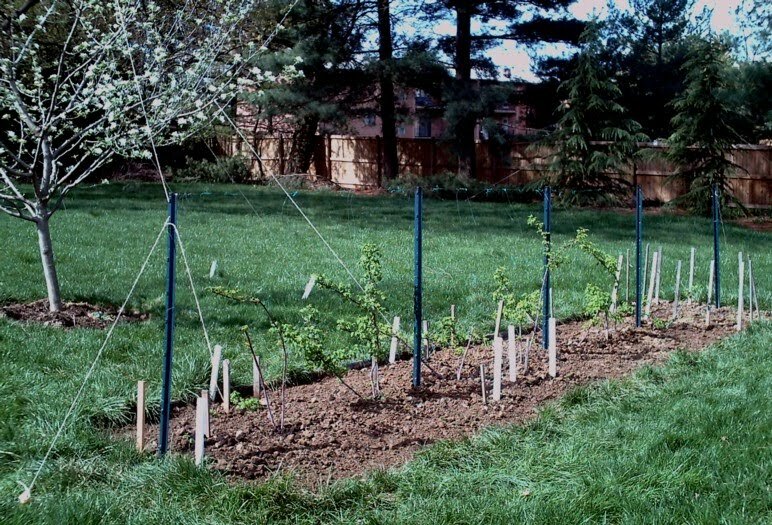 Yep, for somebody who wants raspberries with less problems and work, do like Bob: grow fall, aka ever-bearing raspberries. One cut in late winter, keep them in line and no big worries about diseases and other problems. One question. After you've picked all the fruit, how do you tell which canes to remove? Or in other words, how do you tell the difference between floricanes and primocanes? It will be a time where you will have both a the same time. The primocanes are the growing one and the floricanes bear the fruits. After fruiting the floricanes died and the primocane continue to grow.